Michael Murphy was given the greatest gift that anyone can be given: unconditional love. Then he thought he had lost it, when his wife, Margot, passed away after a nine-year battle with breast cancer. “Love Unfiltered” is a moving tale of love, loss, and redemption, where Murphy shares how he learned an extraordinary truth: that love can never die. Love Unfiltered is now a Wall Street Journal Bestseller! [PRWeb] Michael Murphy is the author of Love Unfiltered as well as the founder of LoveFromMargot.com, a group dedicated to helping women who are struggling with cancer and do not have money to pay for treatment. Next Century Publishing will release the book August 26, 2014. October 18th marks the celebration of a special occasion for the Shanti Project: their 40th annual dinner. The Shanti Project is made up of both volunteers and staff who provide both practical and emotional support to San Francisco’s most vulnerable citizens: those living with life-threatening illnesses. On October 18th, the Shanti Project will celebrate their 40th anniversary with a formal dinner and gala at San Francisco’s Fairmont hotel. The event will be presented by Nordstrom’s and the Love From Margot Foundation’s annual board meeting will take place there earlier that same day. Michael Murphy understands the difficulties of those who live with life-threatening illnesses: his wife, Margot, fought a nine-year battle against breast cancer before she succumbed to the disease. At first, Murphy thought he was lost without her, but he realized that the unconditional love Margot gave him would never die. He founded the Love From Margot Foundation in her honor to commemorate her loving presence while providing assistance for patients diagnosed with a women’s cancer. Murphy also wrote his new book, Love Unfiltered, to honor his wife while helping others find a life of balance and fulfillment. He tells his own story with disarming candor: a runaway and juvenile delinquent who made a long journey to become a successful businessman who discovered a passion for helping others. “This is a story about a powerful love between two people, as well as a story about how universal love can transcend time, borders, and differences. What a beautiful reminder that we are all here to simply love,” says Marci Shimoff, bestselling author of Happy For No Reason. 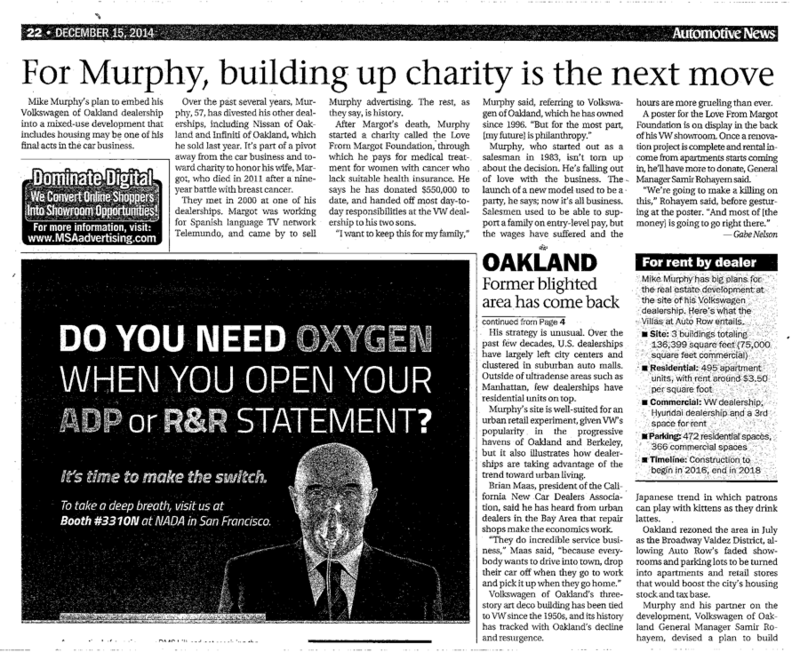 Michael Murphy is the founder of the Love from Margot foundation in Oakland, California, which he created in 2012 in memory of his wife, Margot, to help those women suffering from cancer and other life-threatening diseases. He funds the foundation through his work as president of the Volkswagen of Oakland, his job for the past seventeen years. He is a professional author, blogger, and speaker whose true passion in life is to serve and inspire others to serve. Mike has four beautiful children, and three amazing grandchildren. He loves to spend time with the clients of the foundation, practice bikram yoga, and travel.